Five Gold Coast suburbs have topped the seven figure mark, according to new data from CoreLogic. The median price of houses in Mermaid Beach, Main Beach, Broadbeach Waters, Clear ­Island Waters and Paradise Point is now more than $1 million. REIQ Gold Coast zone chairman John Newlands told the Gold Coast Bulletin more suburbs on the glitter strip would hit the million-dollar mark as the city grew. 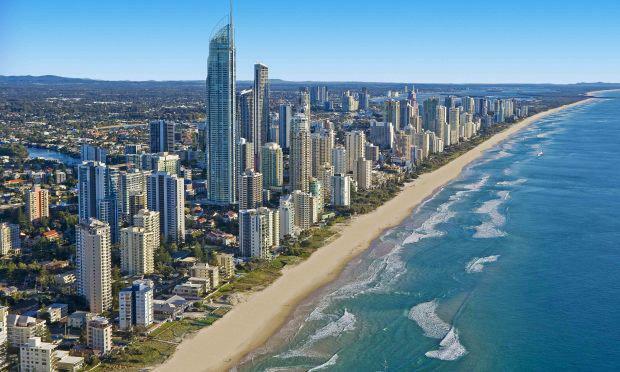 “The population on the Gold Coast is predicted to nearly double over the next 20 years so I think we will see a lot more suburbs pop up into that price range,” Newlands said. While Main Beach was the coast’s most expensive suburb with a median of $1.605 ­million, the suburb only recorded 14 house sales. He predicted the next million-dollar suburb to appear within two years.